Brandon Smith: Is The Olympic Games In South Korea A Perfect Opportunity For A False Flag Attack? The war rhetoric surrounding North Korea on both sides of the Pacific has never been more aggressive than it has been the past year (at least not since the Korean War). There are some people that see the entire affair as a "distraction," a distraction that will never amount to actual conflict. I disagree with this sentiment for a number of reasons. North Korea is indeed a distraction, but still a distraction in the making. That is to say, the chest beating and saber rattling are merely a prelude to the much more effective distraction of live combat and invasion in the name of regime change and "national security." As I noted in my article "Korean War Part II: Why It's Probably Going To Happen," the extensive staging of military assets to the region that has not been seen in over a decade, the extremely swift advancement of North Korean missile technology to include ICBMs capable of reaching the mainland U.S., the strange and unprecedented language by China indicating that they will not intercede against an invasion of North Korea by the U.S. "if Pyongyang attacks first...." All of this and more shows a clear movement of chess pieces into place for a sudden action. According to these factors, I am led to believe that a false flag event blamed on North Korea, or a prodding of North Korea into taking an attack posture, is likely. The purposes behind such a war would be many-fold. Primarily, the final implosion of the vast financial bubbles created by central bank stimulus measures could be undertaken while the banks themselves escape public blame or prosecution. A geopolitical crisis large enough would provide a perfect scapegoat for an economic crisis that was going to develop eventually anyway. And, if this geopolitical crisis were initiated by a "rogue state," along with the poor decisions of a conservative "populist" president (Trump), then the historical narrative would be complete. Future generations would talk about the "great blunder" of sovereign states and nationalists and how hubris and greed and ego led to a global fiscal disaster and unnecessary destruction. The rationale for a one world governmental authority would be planted in the minds of the populace. Will a war in North Korea be the trigger event for this narrative? It's hard to say, as there are so many potential geopolitical powder kegs around the world. 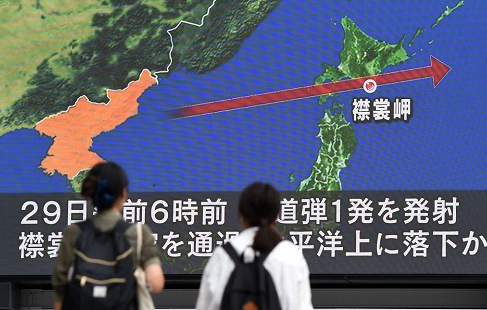 However, ample assets to initiate this kind of event are present around North Korea. And, unlike hot spots like Syria and Iran, North Korea offers the most immediate and tangible threat in the minds of many people with its nuclear arsenal. The pure panic and mindless reactionary thinking that can be provoked in the unprepared when the danger of nukes is present is quite powerful. This could not have been made more clear than this past week when an "accidental" warning of a live ICBM launch occurred in Hawaii. The Hawaii Emergency Management Agency now claims that this false alarm was started by a single employee, who has not been named. How? They somehow "pushed the wrong button" ... twice! Obviously the average American is completely unprepared for a real attack of a minor magnitude, let alone the magnitude of a nuclear blast. Perhaps this reaction in Hawaii was so prevalent because Hawaii tends to be left leaning to the extreme, and leftists are generally poorly prepared for anything beyond a cancellation by their manicurists. That said, the fact that this "mistake" happened to take place in Hawaii and Japan which are already under stress due to the ballistic missile tests of North Korea is an interesting coincidence indeed. 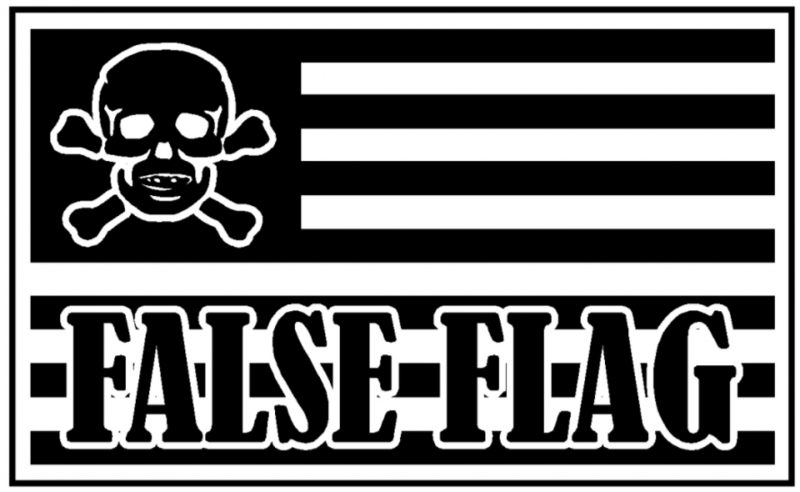 In terms of a false flag event, these seem to occur in the midst of other "training exercises" or distracting events. I can't think of anything more distracting for South Korea than the Winter Olympics, set to take place February 9-25 in Pyeongchang. I would note the sudden friendly demeanor between North Korea and South Korea just before the Olympics, including the offer by North Korea to participate in a joint women's hockey team during the games (something that has never happened before). Would it not be a shame if this ember of goodwill was snuffed out by a North Korean missile test or attack of some kind? The "betrayal" would be excellent war fuel, like a new Pearl Harbor. As Secretary of State Rex Tillerson stated recently, the threat of war with North Korea is "growing" despite the recent "thaw" in relations due to the Olympic Games. The thaw is partially predicated on the North Korean demand that all South Korean and US military exercises be cancelled during negotiations. The typical response by skeptics will be that any attack by North Korea would be met with massive nuclear response. I would point out that a full-scale nuclear response is unlikely in the region. First, a nuclear onslaught on North Korea also puts its neighbors (our allies) at risk of considerable radiation exposure. The argument may be made that only a conventional assault would be safe for the surrounding countries, not to mention the Pacific U.S., which could see radiation exposure as well. Hopefully, the Olympics will conclude without incident and the skeptics are proven correct on North Korean tensions being nothing more than a sideshow amounting to a lot of bluster. But for now the level of conflict staging over the past year should be taken seriously, and the panic that could develop if a war does erupt should be concerning to us all. In times of crisis, people act stupidly and they beg for help from anyone offering, even if it is someone with malicious intent. Fearful individuals will give up almost anything to escape uncertainty, including their freedom and their common sense. And nothing causes fear quite so much as thoughts of war and mushroom clouds.